Throughout our 78 years of operation Deeco have built an extensive and comprehensive knowledge of the requirements and demands of New Zealand customers. 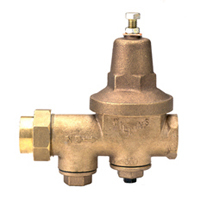 This experience has allowed Deeco to introduce and represent to NZ the complete valve range of Wilkins domestic pressure regulators. Deeco are able to assist you with design, specification, application and technical engineering field support via our product engineers based in our Auckland, Wellington, and Christchurch service branches. For further data on Deeco's Wilkins pressure regulators or technical application data, please Contact Us.